Have you and your dog worn tracks around your block? Wanting more places to explore? Yes? In the words of Taylor Swift – shake it up! We've saved you time and collated a list of some dog-friendly walking trails, parks, cafe's, beaches, and lakes around Perth to explore and enjoy the great outdoors! Here’s our top dog-friendly things to do in Perth that you can enjoy any time of year. Located just a few kilometres east of Gidgegannup, this lovely 3.6km loop is a great dog-approved option for a family picnic or walk. Noble Falls is attractive at all times of the year – with wild flowers blooming in the Spring and the beautiful waterfall looking its best during the winter months. Well-behaved dogs are allowed off their leash as long as you, the owner, has them fully under control at all times. There’s even a special treat for you if you head across to the Noble Falls Tavern across the road after your walk. The richest wildflower location in Perth, this beautiful hidden valley is only minutes from Gosnells Town Centre and boasts sweeping views across Perth from the top of the waterfall in the Sixty Foot Falls Circuit which both you and your dog can enjoy. With four great walk trails to choose from, you and your furry friend will absolutely love part of the Banyowla Regional Park, just like the dog in this picture by Trails WA. This beautiful walk is located in the Mundy Regional Park in the Perth Hills and flows down the edge of a large granite formation, running as a waterfall. Apart from the breathtaking views overlooking the Swan Coastal Plain, the Whistlepipe Gully Walk looks stunning during wildflower season and takes you past some very interesting old ruins. Apart from a few rocks to be wary of, you and your dog can enjoy a relatively relaxing walk through The Gully if your dog is on a leash. There are areas where signage permits otherwise so keep on the lookout. This is a well-developed family and dog-friendly walk that takes you on a circuit around Lake Goollelal in Yellagonga Regional Park’s south. A great all year round walk exploration for you and your dog, but especially beautiful between July and November when the wildflowers are blooming. Be sure to keep an eye out for the historic sites of Wesleyan Mission Farm and the Luisinbi Winery. Lake Gwelup is a beautiful off-the-lead nature walk for you and your pooch. Dogs are permitted off the lead (but under control of the owner) around this lake track. Surrounded by lovely bushland you’re bound to see plenty of birdlife from the viewing platform (as seen by this image from Dogs Around Perth) and as you make your way around this track. There are also several large grassy openings where you can enjoy a picnic or let your dog burn off some energy with some ball throwing time. If you and your mate are feeling quenched, pop over the road to the Gwelup Shopping Centre for a coffee – there’s plenty of drinking bowls for your dog in the pet-friendly outside dining area. A walk around the swamp at Carine Regional Open Space is a great way to enjoy nature and some off-the-lead activities with your dog. There are a number of tracks for exploring and whichever one you choose, you’ll come across some of the resident Carine Regional horses that belong to the Riding for Disabled Association of WA – so be sure to stop and say hello. You can also find a few exercise stations around the park if you feel inclined to work on those gains while you’re out and about. John Oldham Park is a lush and peaceful oasis that features a lake and waterfall with amazing city views. The landscaping is absolutely exquisite and the tranquil lake attracts much of the native bird-life. This park is easily accessible from the foreshore cycle paths and a great way to escape the hustle and bustle with your four-legged friend. Dogs love nothing more than a trip to the beach! Watermans Beach in North Beach offers a great little space for your dog to get in some exercise for the day. It’s a relatively small beach and fairly sheltered from wind and waves – so swimming could be on the cards for you both. A great alternative if you’re looking for a less crowded area with a playground and grassy area above the beach. Your dog will love you even more if you take him/her to the enclosed dog parks in Aveley, Ellenbrook. Similar to Whiteman Park, there is a small dog and large dog exercise zone. The big enclosed park has plenty of space for your beloved dog to run around, even for the larger breeds. Whilst the small dog enclosure is much smaller in size, there is still ample space for your little dog to have a good run, play, chase and meet new friends. Be mindful that there are two areas for a reason, so that all dogs can enjoy some off the leash time. 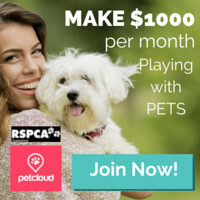 Be sure to put this on the list of places around Perth to take your fur best friend! Lake Monger is a beautiful walk around the lake for you and your dog. The city skyline background and stunning trees lining the walkway, make it the perfect place to enjoy a stroll with your furry best friend (on the lead), just like this image from Perth Urban Runners shows. A little tip if your dog likes the water – walk the track anti-clockwise so that your dog can walk on the lake side. This can help to avoid any wandering into the inside lane and having to navigate around bikes and other walkers going around also. The walk is approximately 3.5km and the shared pathway is suitable for prams and bikes also if the rest of the family want to join in on the fun. There’s even exercise equipment for you if you feel inclined! You’ll also find a water fountain and dog bowl on the West side of the lake but it would pay to bring your own water if it’s a relatively hot day. There are loads of awesome walks and hikes around Perth, and some great ones that can rid the guilt felt when heading out for a walk without your pooch. What are you waiting for? Pack some water, a few treats, their favourite ball and the dog leash and head on out to one of these dog-friendly walks and hikes in Perth. They have a exercise area for the dogs and a agility area. Owned by Olympic gymnast Olivia Vivian, The Leaky Tap is open 7am to 4pm on weekdays, and 8am-3pm on weekends. This cafe offers a "puppachino", which comes served in a small toilet-shaped bowl; a reference to Olivia's Dad, Craig Vivian, who was a well-known plumber in the community. The Trigg Bushland Reserve is located just off Karrinyup Road, with several entries. Dogs are allowed off the lead, but must be under the control of the owner. There are no bikes allowed on the paths, making for a nice afternoon jaunt with your pooch through beautiful bushland. While the south of South Beach is not for pets, the north is all yours. The dog-friendly section begins at the Fremantle Sailing Club where it runs 400 metres south. Though it is on the smaller side, it makes up for it with calm water for swimming, a great atmosphere, and a grassy park area. Formerly located in Guildford, this pet-loving spot has moved to the Maylands cafe strip zone on Guildford Road, and is now open seven days a week from 8am to 6pm. They've got a huge range of nutritional bakery snacks for your pup, and your pet is welcome to come in and browse through the retail store with you, which makes shopping for pet clothing, leads, harnesses, food and other goodies so much more fun. With a nice long stretch of sand, and calm, safe water sheltered by Garden Island, C Y O'Connor Beach in Hammy Hill is often packed with pooches doing their thing and being social. There's also a handy adjacent park with barbecues, showers, and toilets. This cafe allows you to bring your dog inside the store, or have him or her sit on the floor next to you while you have something to eat in the fully enclosed alfresco area. You can also spoil your ~furbaby~ with a special treat from their Dog Treat Barkery. They also have a spa where you can pamper your very lucky pet even more. Located in Highgate, Jack Marks Park has a fully fenced run for off-leash fun - though it is only a metre high, so is best suited for smaller dogs who don't like to jump. Featuring a water fountain and dog bowl, a ~doggie doodie dispenser~, and a fully fenced playground for the kids, it's located on the corner of Broome and Wright Streets. The northern end of Leighton Beach is a designated dog exercise area. The shallows are great for dogs that enjoy a swim, and you can wander from here all the way to Fremantle. The Blue Lotus Cafe at Waldecks in Karrinyup welcomes dogs on leads in the outdoor dining section. The cafe offers coffees, light lunches, cakes, breakfast, and desserts. Located off Whitfords Avenue in Hillary's, this dog beach offers around a kilometre of beach to run your dogs. Great for swimming when the waves aren't too big, this beach is very popular with locals - especially in the summer where there is a visiting coffee van and mobile dog wash in residence. Dogs are more than welcome to enjoy the sunshine out on the front deck of this heritage listed building. A cafe for fans of locally sourced food, good coffee, and exotic teas, they do a mean all day breakfast and are open seven days, from 7am until 4pm. Burn’s Beach Café has always been a dog-friendly venue, but in 2012, this cafe upped the ante by adding an ala carte dog menu, aptly dubbed "Doggy Num Yums". The best news? All profits from doggy snacks are donated to the local pound. Similar to the South City Beach, but more popular, this dog beach has clean sands and clear water, with no rocks, making for a safe swimming environment in calm conditions. On the downside, there's no shelter from sun or sea breezes, so bring along your own - or a good hat and sunscreen. A great place for nature lovers, skateboard enthusiasts, those that prefer their exercise served alfresco, and dog owners. The park is dog-friendly, but it's requested that dogs are kept away from the wetlands - but fear not, there are ample well marked areas to roam free. It's also home to the Northern Suburbs Dog Club. On the smaller side, with rocks and reefs in the water, this is ideal for those that hate a crowded beach. It's OK for swimming when waves aren't breaking, and is fairly sheltered from wind and waves - and if the beach itself doesn't do it for your dog, there's a grassed area above the beach they can run around in. A popular spot for nature lovers and parents, this cafe is well situated with open parklands right on the doorstep - as well as the namesake Canning River. Open seven days per week for breakfast, lunch or late coffee, they sell dog treats so your pooch can dine with you. A great place to take your dog if you're a fan of fishing, this beach might have limited hours in summer - when dogs are not allowed between 10am and 4pm during October and March - but is still worth a visit when open. While you're there, pop into the dog-friendly John Street Cafe. Located at the entrance to South Beach in Fremantle, this place does a mean vegetarian meal and is very popular with the locals for the laid back vibe, good food, coffee, and waterfront location. Located right on Floreat Beach, this licensed cafe welcomes dogs on the side deck, and is a good choice for families as it adjoins a playground. Nestled into a cosy corner of the coast, the cafe is sheltered from the prevailing sea breezes, and has an awesome view of the ocean. Minim Cove is a park by the Swan River, perfect for a family outing, with a group of BBQs conveniently nearby. Located near the Mosman Park Tennis Club, the dog exercise area has ample shade, and a mix of sandy and grassed areas for your dog to explore off its lead. The big pub on the corner of Beaufort and Walcott Streets in Mount Lawley, this iconic spot is a big draw for Sunday booze hounds that like to bring their dog along everywhere they go. While you can only have the pups outdoors, there's a long bank of tables along the footpath for you to enjoy. There are Shady ovals, multiple barbeques and picnic shelters, and many walks to enjoy. Whiteman Park is a unique recreation and conservation reserve that covers nearly 4,000 hectares of natural bushland and leisure facilities in Perth’s northern suburbs. It features a village cafe and shops, multiple bush walking trails and cycle paths, and a new children’s water playground. There are dozens of barbeques and picnic shelters (which can be booked in advance). Dogs are welcome throughout Whiteman Park (on lead and under control) making it one of the best days out for the whole family. Whiteman Park is one of the most enjoyable and welcoming places for dogs in Perth today. It is definitely worth the drive into the northern suburbs to visit and you can easily spend an entire day enjoying what it has to offer. Pack a picnic and stay all day. Canning River Regional Park & Canning River Cafe. An on-lead park, a shady trail walk and an exceptional cafe makes this a great place to get your doggy fitness on. Then enjoy a coffee and cake reward for both you and your pooch. The Canning River Regional Park is one of the few places in Perth which create a haven for wildlife and the community alike. The wetlands and waterways of Canning River is divided by the Kent Street Weir Bridge and crossing this will take you on a beautiful walk through the trees and native bushland. You can choose from various trails starting from the Weir, and they are suitable for prams, bikes, scooters or walking. There is loads of native wildlife that call this area home, so dogs are required to be kept on leash. After your walk along the Canning River trail, double back to visit The Canning River Cafe. A dog statue out the front signals dogs are welcome, while the cafe sells dog treats for their four-legged customers. The cooling misting system keeps the outdoor terrace of the cafe comfortable while you sit and enjoy the river views. One of the newest additions to the pet-friendly scene, Furbaby Cafe shows the growing demand for high-quality eateries which don’t only ‘allow’ dogs, but include pets as part of the family. Furbaby Cafe is a dog friendly cafe, beauty parlour and pet boutique in one. They pride themselves on their fantastic dog and human friendly customer service. 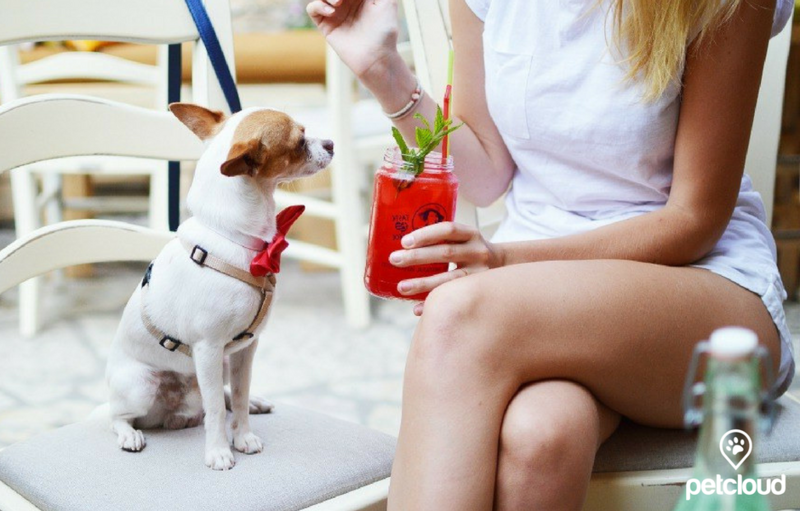 Your dog can browse the store for designer items, indulge in some tasty treats or just simply sit with you while you catch up with friends for a coffee. Once inside the Furbaby Cafe, the fully enclosed and shaded alfresco area gives a perfectly tropical vibe, thanks to clever design, lush plants and a cute elephant fountain. The space is large with plenty of room to give each dog space to eat in comfort. The ‘human’ menu offers a range of light meals, coffee, cakes and slices. While the a ‘Dog Barkery’ offers cute dog biscuits and canine cupcakes. A multitude of dog breeds, greeting and playing in a non-crowded and low-stress setting. Families having barbecues and enjoying the cool sea breezes in the shade of huge trees. Carine Regional Open Space is a dog walker’s paradise. Located in the northern suburbs between Carine and Hamersley, Carine Regional Open Space is an enormous parkland with large shaded playground and barbecues. There are toilets, shelters and plenty of grass to run around on, or enjoy a picnic. Huge trees line the park making it shady and pleasant, but also home to family groups of Corellas and Magpies. Lots of kids on scooters and bikes is a feature of this park, so if you’re dog is inclined to chase bring a long lead and play it safe. However, dogs are allowed off-leash and the space features three full-size ovals where people throw balls and dogs run in circles chasing each other. The centrepiece of Carine Regional Open Space is the Big Carine Swamp, which features a leisurely, accessible circuit of about 3km (45 mins) on a shared-use, walking path. This is paved and shaded most of the way, making it a great, easy walk that is a popular fitness destination for people and pets from all over Perth. Pack a barbecue, watch the sun go down and enjoy the very best that Perth weather has to offer. Also be mindful that it's common for fox bait to be set in bushland areas, so also check with the local council for the area you are going to, to determine if this may be a risk and re consider your visit or keep your dog on a lead if this risk is present. Warroora Station provides access for visitors to the Ningaloo Reef and Marine Park. Camping is available in a variety of stunning and unique locations right on the beach. Dogs allowed on a lead. Note fox baiting is conducted in the area. All campsites have direct beach access; a pristine, natural and untouched coastline to enjoy a wilderness experience, living with and in harmony with nature. Dogs must be under control and fox baiting is conducted in the area. $35 per person per week. Dogs are permitted out the front of the homestead and north of the homestead and on a limited part of the beach. Dogs are welcomed as long as rules are adhered to. $50 dog bond applies. Pet friendly park outside school holidays for van and tent sites only (a $30 bond applies to sites booked with pets). Located 10km north of Jurien and accessible by 2WD. Dogs are permitted in Sandy Cape Recreation Park. When dogs are in the camp grounds and in the swimming area adjacent to the camp grounds dogs are to be on a lead or leash. 126 camp sites with a variety of configurations suitable for tents, campervans, caravans and camper trailers. Dogs permitted must be on a lead at all times. Dogs are allowed in the recreation area of Lane Poole Reserve but must be kept on a leash at all times. Sues Bridge has an undercover camp kitchen with gas barbeques, cold water taps (collected rainwater), dishwashing sinks, food preparation surfaces and picnic tables and benches. 25 campites (9 suitable for camper trailers/caravans). Dogs on a lead permitted. $10 per adult per night. Toilets (non flushing). No bookings. A tranquil haven, it features a stunning array of birds and wildlife and the river provides activities such as swimming, canoeing, fishing and boating making it a year round destination for visitors who enjoy camping in a natural environment. Features toilets, cold shower, gas bbq, picnic tables, water, boat ramp. Dogs allowed on a lead. No bookings. $10 per adult per night. Friendly dogs welcome to stay at powered and unpowered sites. $50 dog bond and you must seek management approval prior to your stay. Dogs are welcome on a lead, please keep in mind that fox baiting does occur in the Collie region and those baits are highly toxic to domestic animals. Dogs welcome to stay with you on powered and non powered sites during off peak times only. All bookings are at the managers discretion so be sure to apply before you arrive. Superb beaches of snow white sand and crystal blue waters, dogs allowed. Campground with drinking water and gas BBQs available. There are a few set classes on the timetable that studio owner Kelly brings her two beautiful Shih Tzu puppies Bear & Bodhi too. The puppies are well trained to keep quiet during class, Bodhi the youngest is still on "L" Plates and may be a bit more curious and take longer to settle.